MeetFactory is a nonprofit international center for contemporary art, established by artist David Černý in 2001. After moving from Holešovice Prague Borough, the Project found its new residence in former glassworks industrial premises at Smíchov, on a specific site between a highway and an active railway line. Its Program was launched after an extensive reconstruction of the premises in 2007. Currently MeetFactory is the organizer of original projects in art, theater and music. Our residential art program is the largest in the Czech Republic. Among our goals is opening a dialogue between different art genres and communicating happenings at the contemporary art scene to the general public. Our institution offers three art gallery spaces and organizes around twenty exhibitions each year. In our residential art program, we yearly offer facilities to about thirty artists from around the world. 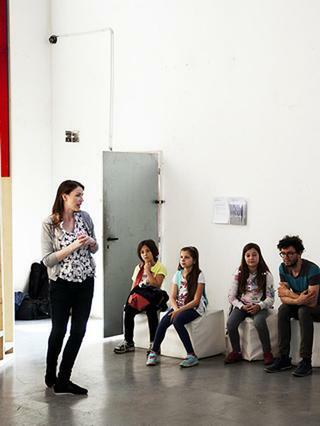 Our educational programs cater for a wide spectrum of visitors, from elementary school pupils to high school students. The programs offered by us are designed to meet the objectives of the Framework Programs of the Czech Ministry of Education, Youth and Sports. The workshops and guided tours are offered both in Czech and English. We are ready to meet specific needs of individual groups of visitors.